Overly large, protruding ears on a child can not only be unflattering, but they can also cause insecurities. The constant teasing from peers and the nicknames “Dumbo” or “Big Ears” can haunt them every day on the playground. So, what can you do as a parent to protect your child from bullies or even help them feel better about their overall appearance? Many parents have looked into surgical options for their child. 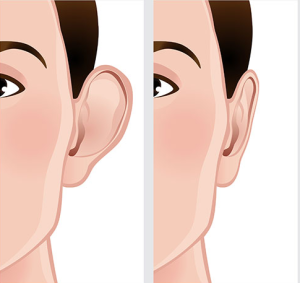 Otoplasty, or ear surgery, can be performed to correct the size, shape, and protrusion of the ears. Now, the question parents may be asking themselves is, “Is my child ready for surgery or even a candidate?” Typically, otoplasty is performed on children between the ages of four and 14. It is best you discuss surgery with them thoroughly. Have them meet the surgeon and be in the examination room the entire time. During the consultation, make certain both you and your child are listening attentively. Be sure they understand the benefits, side effects, and risks of surgery. If they seem apprehensive or scared about undergoing surgery, you may want to postpone their procedure until they are mentally prepared. When scheduling your child’s surgery, try to do it during a school break or when they can take time off of school. It is important they are fully relaxed during the recovery process. The typical patient takes about one week before they are ready to go back to a normal routine. Before surgery, have any medications picked up and a button-up shirt ready for your child to wear after the procedure. It is crucial to avoid pulling anything over the ears. Any touching or tugging on the ears could affect the healing process or irritate the surgical wounds. After surgery, your child will have bandages around the ears. Cold compresses can be used to minimize any swelling or discomfort. Strenuous activities should be avoided for at least two weeks. Over the next few weeks, results will become more noticeable as bruising subsides and the surgical wounds heal. The majority of children are extremely happy with the results of their ear surgery. Patients can expect an overall facial improvement; smaller, more symmetrical ears will create better balance with the rest of the face. Results are usually permanent, and the ears will continue to age naturally over time. Overall, your child will likely feel more confident and have a positive self-image after undergoing otoplasty. If your child is interested in undergoing ear surgery, schedule a consultation with Dr. Dubrow today! You can make an appointment by calling (949) 515-4111 or by filling out our online contact form.